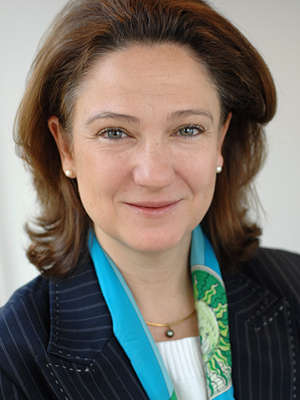 Caroline Wunnerlich joined the firm in 1992, becoming Managing Director of the GPC Brussels office in 1998. She managed the integration of GPC into FleishmanHillard’s global network in 2000 and the opening of the Berlin office in 2001. In 2006, Caroline joined the EMEA Senior Management Team – receiving the John D. Graham Award for Excellence that same year – and in 2010, was promoted to EVP & Regional Director EMEA. From 2010-2015, she served as vice chair on the Management Committee of the European Public Affairs Consultancy Association. Caroline represented the firm to collect the Holmes Report ‘Global Public Affairs Consultancy of the Year’ award in 2012 and attended the World Economic Forum in Davos as a member of the Omnicom delegation in 2013 and 2015. In 2016, Caroline was nominated to Politico’s Top 20 “Women Who Shape Brussels” and received the prestigious personal award for “Outstanding Contribution” to the industry at the EuroPAwards. Caroline is a member of the International Public Relations Association and the American European Community Association, and speaks English, German and French.